Most births in American hospitals are free of complications in the 21st Century. However, birth defects occur in a small minority of cases. Often conditions like cerebral palsy are caused by mistakes made at hospitals. You may have grounds to sue a medical professional or a hospital when cerebral palsy was caused by medical negligence. Cerebral palsy (CP) is the most common motor disorder in babies and children. It occurs in about 2 to 3 of every 1,000 births. The condition is not usually diagnosed until a child reaches 2 or 3-years-old, states the American Pregnancy Association. According to United Cerebral Palsy, a non-profit advocacy group for sufferers, about 764,000 children and adults have some form of the disorder. Approximately 8,000 newborn babies and infants are diagnosed with Cerebral Palsy each year. In many cases, the cause of CP is directly related to medical mistakes and negligence. In the case of cerebral palsy caused by medical negligence, the responsible parties, such as a doctor, a surgeon, medical staff and a hospital may be liable for damages. How Does Cerebral Palsy Affect a Child? As Virginia cerebral palsy injury lawyers, we are well aware of the strain this condition puts on people diagnosed with the condition and their families. Cerebral palsy is a permanent life-long condition. People diagnosed with the condition have long-term health needs. However, some of the symptoms of cerebral palsy can improve or worsen over time. People with cerebral palsy can suffer from a wide range of learning, vision, hearing, speech development, epilepsy and intellectual impairments. The disability associated with cerebral palsy may be confined to one limb or either the right or left of the body. It can affect the whole body. Conditions like muscle shortening and muscle rigidity may worsen if the condition is not treated aggressively. Cerebral palsy may be caused by a brain malfunction in the fetus. However, medical malpractice during birth is another significant cause. Serious medical errors at birth include leaving the baby in the birth canal for too long, a failure to recognize or treat seizures, failure to detect a prolapsed cord, and improper use of forceps or vacuum extraction during a delivery. It may not always be obvious that a medical professional has caused an error. A failure to perform a C-section in a timely manner or not promptly addressing complications in the delivery room elevates the risk of injuries and the likelihood of a child developing cerebral palsy. A Virginia injury lawyer with experience of cerebral palsy caused by medical negligence will conduct a detailed investigation to find out what went wrong in the delivery room. If you believe a mistake during childbirth caused by a doctor or another medical professional led to your child’s cerebral palsy, you should contact an experienced injury lawyer as soon as possible. Those held responsible may include a doctor, an obstetrician, a midwife and the hospital itself under the doctrine of respondeat superior (Latin for “let the master answer”). It’s important to talk to act quickly. Under Virginia’s statute of limitations, the clock is ticking to bring a lawsuit. Medical malpractice cases can be complicated by the fact a disorder like cerebral palsy may not be apparent in the weeks and months immediately after a medical mistake. Depending on the circumstances, parties may have as little as a year and as long as 10 years to bring a medical malpractice case. Stephen M. Smith is a worldwide recognized expert in brain injury litigation, with nearly four decades of experience in litigating these case. 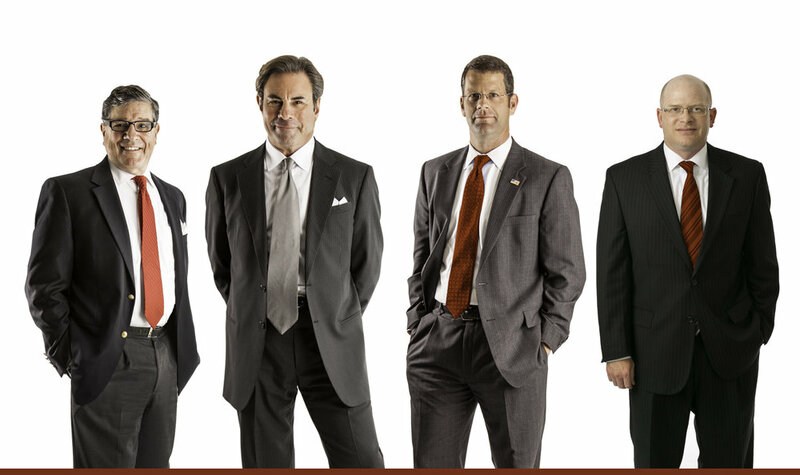 Mr. Smith and his team of attorneys at the Hampton-based Smith Law Center handle lawsuits across the U.S. and the world. Call the Smith Law Center at 757.244.7000 for a consultation.